I am a licensed Marriage Family Therapist in the state of Georgia. I have worked with individuals and families for five years as a therapist. In addition, I have been in the mental health field for seven years providing life coaching, behavioral modification, and skill building. I strongly believe that optimism and hope are the most necessary elements to help clients overcome their obstacles, face their challenges, rebuild relationships, and create the outcomes they seek. I have worked with clients with an array of concerns such as parenting problems, family relational issues, stress/anger management, emotional regulation, and anxiety. My treatment is centered in systemic and strength-based therapies drawing from Family Therapy, Solution Focused Therapy, Acceptance and Commitment Therapy, Cognitive Behavioral Therapy and Dialectical Behavior Therapy. I approach each family, couple, or individual with warmth, respect, non-judgement, openness, and curiosity; working in a collaborative way to find the best fit for you. Coming to counseling is a huge step! My hope for you is that today is the day that you start to rebuild those bridges, to reconnect with your loved ones, or you find some resolution to the obstacles impeding your life. I feel honored that you are willing to allow me to take the journey with you. I have never done therapy before, but Yetunde helped me through the process with kindness and patience. She helped me work through my emotions and thoughts and offered different exercises and coping mechanisms to deal with them. She always made sure to explain everything to me and I could always ask her questions without feeling embarrassed. I had a great experience and she definitely helped me to feel better. Yetunde makes me feel understood and listens very carefully to my thoughts. She offers good exercises and encourages me to trust myself. She gives confidence and understanding without judgement. I have had a good experience working with her and would recommend her to anyone dealing with anxiety or anyone who wants to understand him/herself better. Yetunde is kind, genuine, and professional. She has helped me get through some challenging times by giving me tools that work for me and by being extremely supportive. As a bonus, being a person of color, it is also wonderful for me to have a therapist that understands some of my experiences related to race and identity and is willing to talk about it in a real way. I am so glad to have found her. This is my first time going to therapy because I’ve always been too scared to commit. Yetunde has made it very easy for me, she is very caring and respectful. Yetunde helped me out during a very difficult life change where I was in a very bad place. I'll always be thankful for all the skills she helped me build in dealing with depression and relationships, and her kind, understanding view of therapy was very soothing when I was so troubled. I've tried in-person counseling before and I felt like they didn't really get me or weren't providing the right kind of help. Yetunde has helped me come a long way in the past couple months. She really understands how to navigate my issues in daily life. I'm extremely thankful. She’s very thoughtful and focused on exact tools to help both in the moment and building toward longer term. I learn something helpful each week. Yetunde helped get me on the right track with my anxiety and I feel much better. Working with Yetunde allowed me to accomplish many goals in a short amount of time. She was always compassionate and encouraged me to face the challenges in affirming ways. 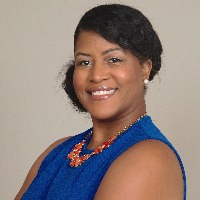 Yetunde is an excellent counselor with fine-tuned intuition, flexibility, and curiosity. I HAVE recommend Ms. Battle to others. I can truly say she's the best therapist I have ever worked with. My counselor listens and teaches me ways to cope. It has been a great experience. Yetunde was able to help me dig through some childhood experiences, and get to the root of some of my issues in just a few sessions. I cannot say enough good things about her as a person, but also about how great she is at what she does. Thank you! I wasn't sure about online counseling at but I have great counselor. Yetunde Battle who has helped get back on track. Given me tools to cope with the daily stresses that is my life. Help me to look beyond and see I do have choices it's not easy choices, and I don't have to make them all at once. I am grateful for the time I spend talking to her. Yetunde Battle has helped me tremendously. She was able to help me identify problems and find tools to help me grow solutions that work for me. Yetunde Battle is a professional, she is operating with a wide range of technniques, and, more importantly, she is always optimistic and attentive, she always makes sure she understood you and your situation properly and completely. Thing is, there wasn't a single time when she misunderstood me, it is like being on the same wave, just this makes you more relaxed and sure. I have been talking to Ms. Battle for several weeks and her approach has been effective. I feel comfortable explaining my issues and feelings because she's very professional in questioning, listening and providing relevant suggestions. Would you like to write a review for Yetunde Battle? We'd appreciate if you can spend a couple of minutes to write a short review for Yetunde Battle (LMFT). This review would be shared with Yetunde Battle. It may also be posted in our website or in Yetunde Battle's profile but it would be anonymous and your identity would be kept completely confidential.